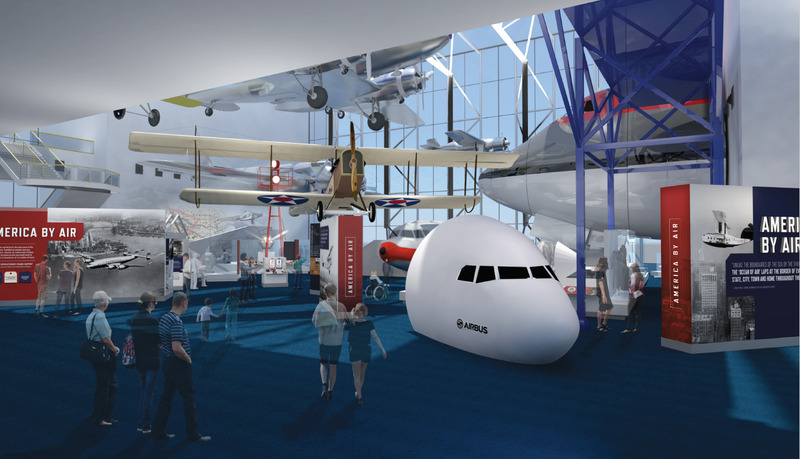 The National Air and Space Museum will begin its major renovation of the building on the National Mall before the end of the year. The revitalization of the building’s exterior and infrastructure, and the transformation of all 23 exhibitions and presentation spaces, will take approximately seven years. 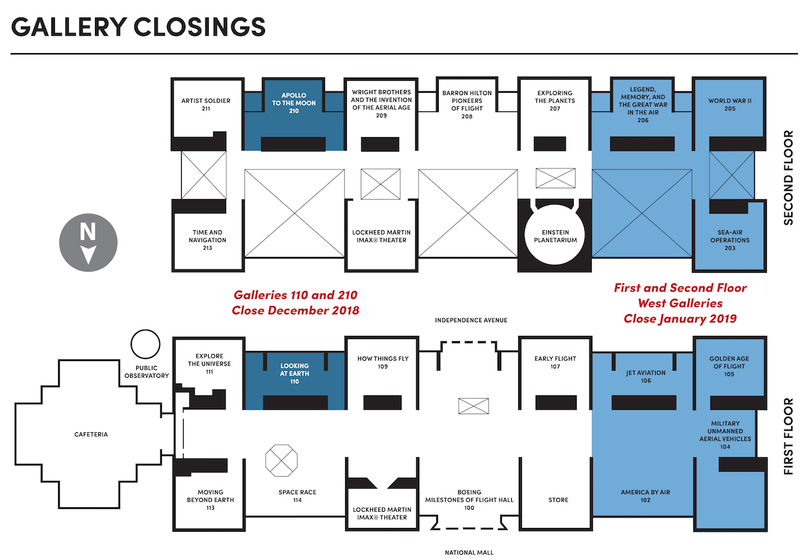 Though the museum will remain open, phased gallery closures will begin December 3, 2018 with the closure of the “Apollo to the Moon” and “Looking at Earth” exhibitions. 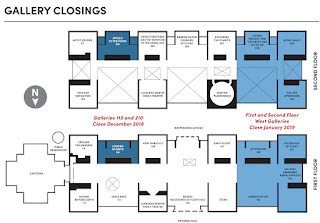 Several additional galleries will close in January 2019. The building will undergo complete refacing of the exterior cladding, replacement of outdated mechanical systems and other repairs and improvements. The Smithsonian has contracted Clark/Smoot/Consigli for these renovations and artifact moves. Detailed information about the effects construction will have on the public will be released in advance of the changes. In January, seven exhibitions - “America by Air,” “Sea-Air Operations,” “Military Unmanned Aerial Vehicles,” “Golden Age of Flight,” “World War II Aviation,” “Jet Aviation” and “Legend, Memory and the Great War in the Air” will close. Some of artifacts that will go off display with these closures include the Douglas DC-3, Boeing 747 nose, Supermarine Spitfire Mk.VIII and the Hughes H1 Racer. The virtual reality and flight simulators will also close temporarily until they are moved to the east end of the building. The renovation will refresh some exhibitions but retain their current themes; others will be completely replaced. To safeguard artifacts during construction, most will be moved to a new state-of-the-art collections storage facility at the museum’s Steven F. Udvar-Hazy Center in Chantilly, Virginia. To learn more and to keep apprised about the project, please visit airandspace.si.edu/reimagine. The National Air and Space Museum in Washington, DC, is located at Sixth Street and Independence Avenue, SW. 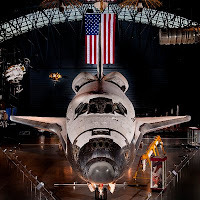 The Steven F. Udvar-Hazy Center is located in Chantilly, Virginia, near Washington Dulles International Airport. Both facilities are open daily from 10 AM until 5:30 PM (closed December 25.) Admission is free, but there is a $15 fee for parking at the Udvar-Hazy Center.